One silent piece or four? Silent prayer, 4? 33?, 0? 00?, One3: are these evolving manifestations of the same work, or are they four distinctly different works? 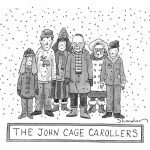 Should we speak of John Cage’s silent piece, or John Cage’s silent pieces? 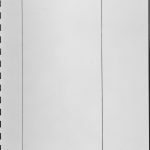 Unwilling to perform 4′ 33″ for a concert in Japan in 1989, John Cage created a new silent piece: One3. Dark and frightening, it confounds our expectations. 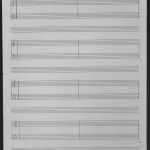 In 1962, to effectively present his understanding of silence to audiences, Cage wrote a new silent piece and called it 0’ 00” (4’ 33” No. 2). it is a celebration of silence in all the ways that were most meaningful to Cage and which had been missed in the concert performances of 4’ 33”. 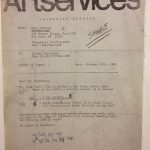 Did John Cage regret writing 4′ 33″? While 4’ 33” is seen as a daring creation that changed music, Cage himself can be seen as its somewhat reluctant creator. Rather than embrace and promote it as the key piece in his oeuvre, Cage seems to have distanced himself from it. By turning his back on it, was he trying in some way to make it just go away? 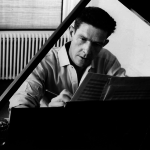 Did John Cage regret writing 4′ 33″? So how, exactly, did John Cage write 4’ 33”? This may seem like a silly question. But for Cage in 1952, process was very important. 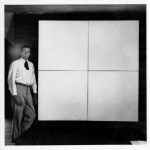 In this post, I look at the various possibilities for the composition of 4′ 33″. The second of Cage’s silent pieces is the one that everybody has heard of: 4′ 33″. First, I will take up the question of “why now?”: Why did Cage write a silent piece in 1952 after having first thought of it at least four years earlier? In 1948, John Cage proposed writing “a piece of uninterrupted silence” to be called “Silent prayer”. 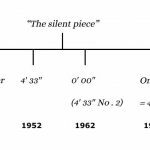 While this has been connected as the precursor of 4′ 33″, there is a rather startling gap between John Cage in 1948 and John Cage in 1952. What was the context of Silent prayer, then? What is your silent piece? Each of us has an image of John Cage’s silent piece, an idea—or many ideas—of what he created, why he created it, and what it means. This series will be my story of Cage’s silent piece—or silent pieces, since there are four of them.